According to a report from Solidiance, the global chemical industry is expected to grow from $4.1 trillion in 2013 to $5.1 trillion by 2020. These trends suggest huge scope for marketers, products, solutions and services providers in the industry to market their offerings and explore potential avenues of profit. If you are looking for a competent marketing database of chemical industry executives, Blue Mail Media could be the best source to obtain highly reliable data from. 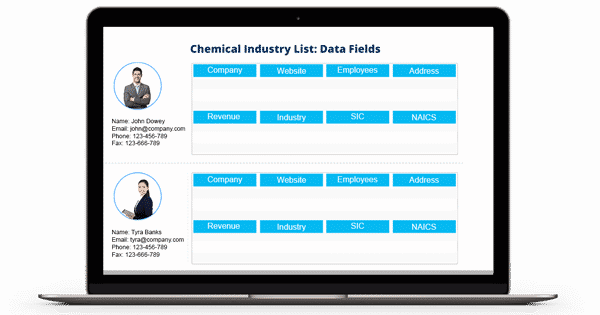 Blue Mail Media’s Chemical Industry Email Database has been designed to help you execute your multi-channel marketing campaigns in a flawless manner. Our database allows you to connect with your target market via telephone, email or mail. We house a highly proficient team of data scientists, analysts, marketing experts and other professionals who follow a stringent process of data collection, verification and update to keep our database up-to-date at all times. As a marketer operating in the chemical industry, Blue Mail Media’s Chemical Manufacturing Industry Mailing List can help you achieve significant interactions, conversions and ROI. We understand that your marketing needs might be different than most others and thus, we offer you pre-packaged as well as customized Mailing list of Chemical Industry Executives.